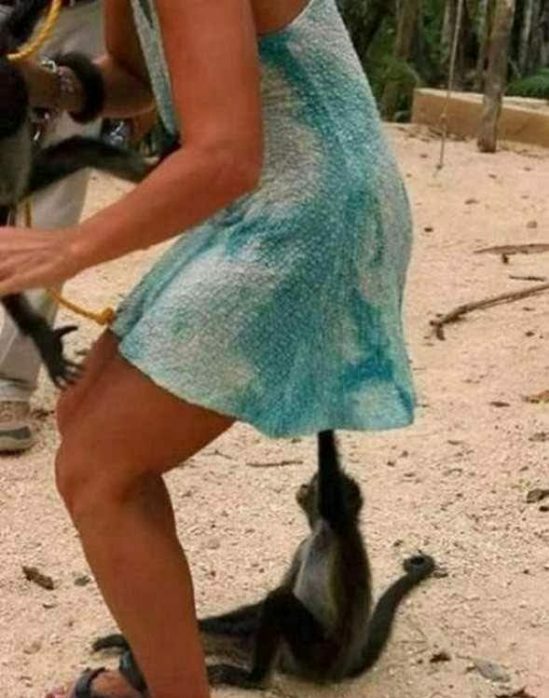 The first thought which comes to anyone’s mind when they look at this picture is that the monkey has got his hands inside this woman’s dress, and you might laugh at it because of being hilarious in a dirty way. But it’s not always what you see, the woman and the monkey are just standing on such angle that it looks like the monkey is underneath her. This photo is just about good timings and photography skills.